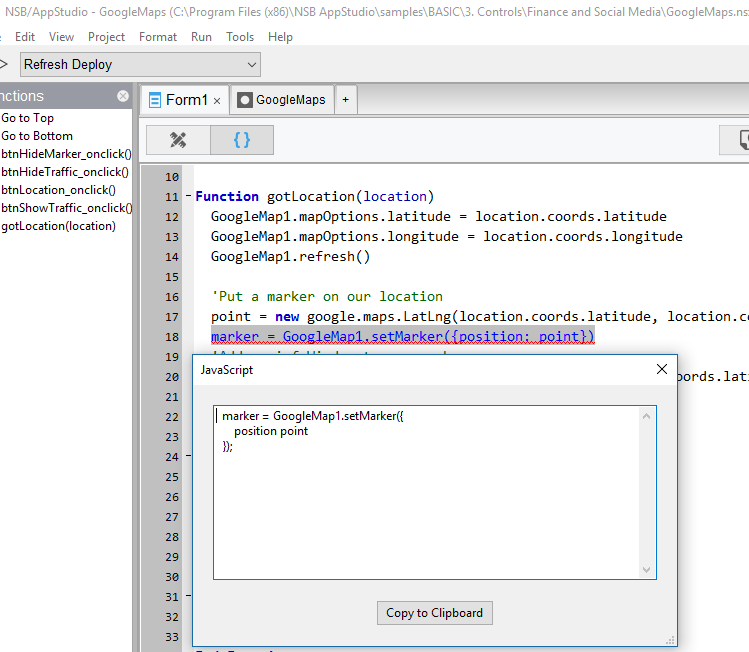 Where do you enter the Google Map API Key? Are there any steps on how to do it? The control needs to be updated. Thanks. I put it in the Extraheader and it worked. That’s awesome and good to know. See the guide to API keys and client IDs. This is fixed in the next build of AppStudio. It should be out this weekend. I can’t reproduce this one. Can you make this happen in a small project? Still no luck reproducing this here. What version of AppStudio are you using? been that all it needed was a reboot. @mariolavignasse thanks for checking back and letting the community know. Added in 6.2.4. There’s a new property in the GoogleMap control for this.